Travelers are always seeking for new, unique and extra ordinary place around the globe to visit and add their memories to their travel nostalgia. While it is easy to count places like Eiffel Tower, Great Wall of China, Niagara Falls or Taj Mahal, there are many hidden places, structures or natural features that are either not known or are located in such remote areas that only a handful travelers reach there. 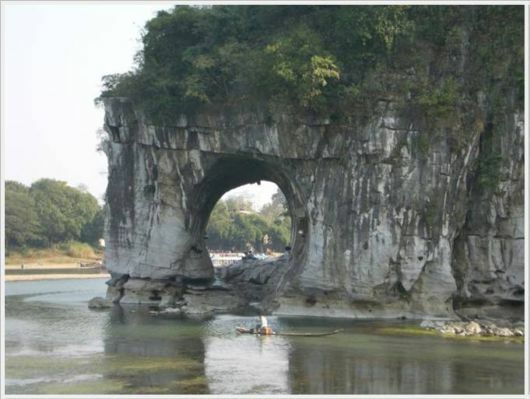 And one of such natural features is the Elephant Trunk Hill. 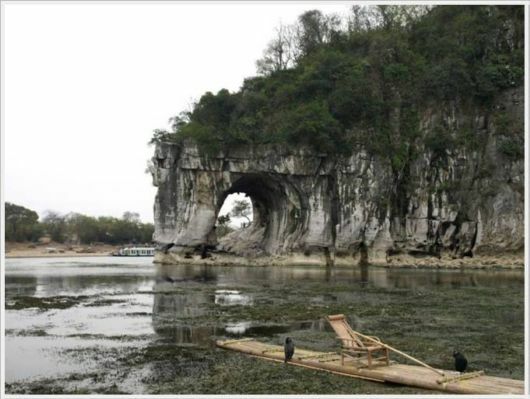 As the name denotes, this natural feature looks like an elephant. 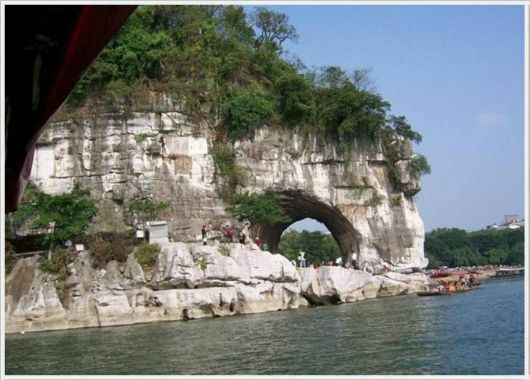 Located in the city of Guilin in the northeast of the Guangxi Zhuang Autonomous Region of far southern China, this rocky hill, which looks like an elephant with its trunk submerged into the Li River, is said to be 3.6 hundred million years old. 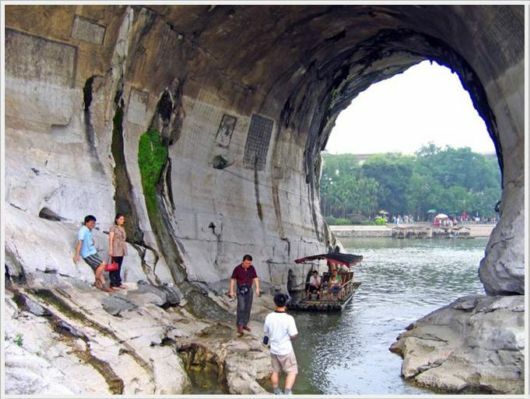 The feature is formed from the seabed limestone of the river. 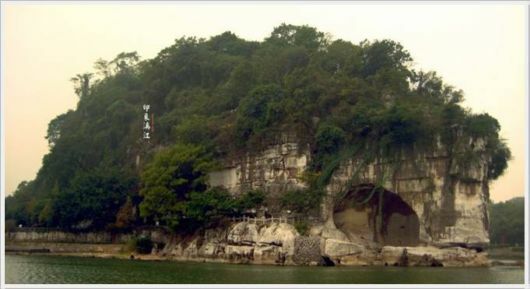 The hill feature, 200 meters elevation, 55 meters in height, 108 meters in length and 100 meters in width, is covered on top with lush green trees and foliage and has become a symbol of tourist attraction of the Guilin city. 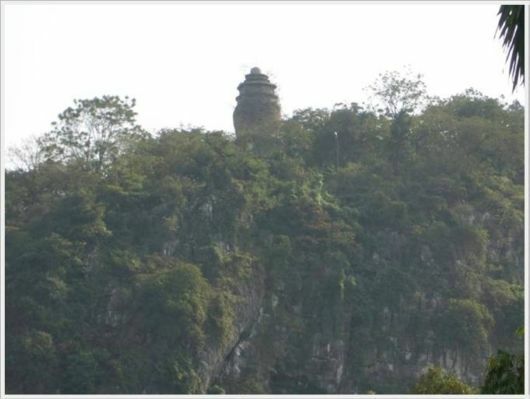 There is a pagoda located atop the 'back of the elephant' which resembles like the hilt of a sword. As a local legend goes, Emperor of Heaven decided to conquer the Earth riding on the back of his elephant. Kind-hearted and dedicated to the poor, the elephant came down to Earth to help the humans in their labor but finally got sick. With the Emperor so angry at seeing his elephant helping the humans, he deserted him, letting the poor sick elephant's fate at its own course. Grateful for its help, humans nursed the sick elephant back to health, making the elephant wishes to stay definitely on Earth along with the humans, helping them plow their fields and forget about its master. Infuriated by the scene that was occurring on Earth, the Emperor of Heaven threw his sword on the elephant drinking at the river's edge, finally turned it into stone. Passed away in the world of humans, the elephant is still near to the friendly people that helped him, guarding the city forever and ever. It is a cool scenic spot near to the city center, recalling locals and visitors about the beauty and power of Mother Nature. 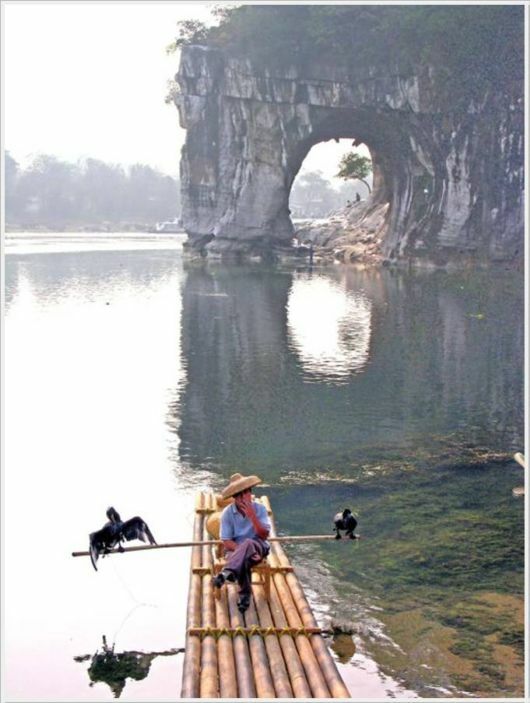 The green water of Li River in front of it and the clear spring at the foot make Elephant Trunk Hill one of the most famous hills in Guilin City. 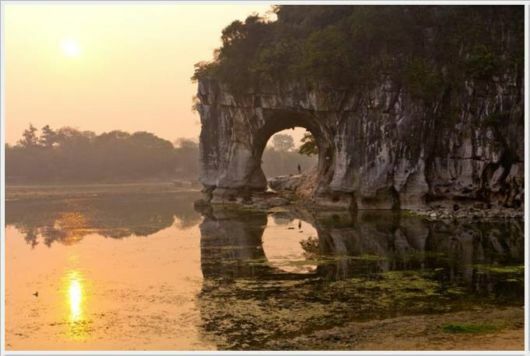 As the sun sets, the Elephant Trunk Hill gives the final stunning view of its presence on the Li River, which fascinates the onlookers and travelers who cherish its memory for the rest of their lives. 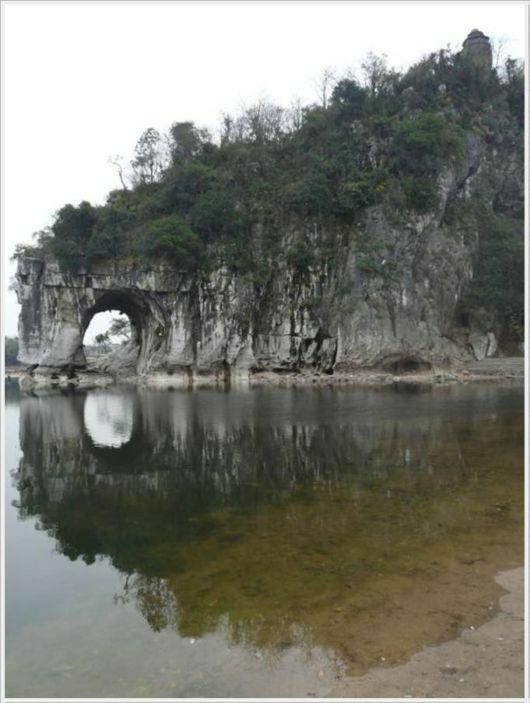 If you happen to be visiting China, beside climbing the Great Wall of China, do plan a visit to the Guilin city to pay a visit to this stony features that really resembles like an elephant drinking water from the Li River.